We have a blog coming soon called Clothesline Fresh. 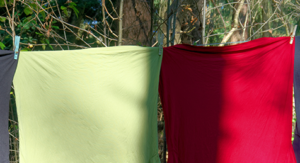 In that blog, we will expound upon the benefits of clothesline drying your laundry. While preparing to write that blog we kept thinking of clothesline tips that you may not know about. So we decided to do an entire blog just about clothesline tips. 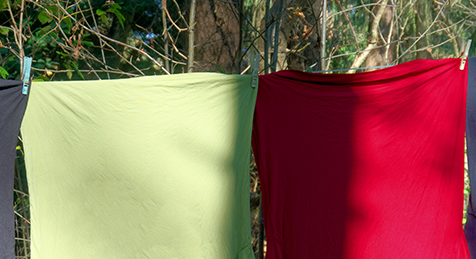 Here are some of our Spot On clothesline tips and tricks that we hope you’ll try. 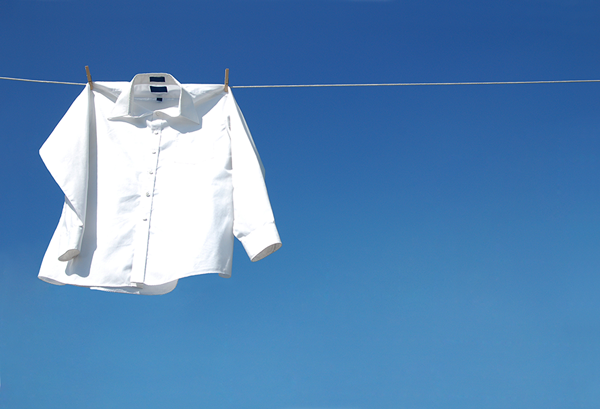 Turn your dark clothes inside out to reduce the sun’s bleaching power. We know you don’t want your black t-shirt to turn gray before it’s time. Hang shirts and tank tops up by the bottom to eliminate more wrinkles, and to keep the wind from making them into sales. Slightly overlap each piece of laundry and use one clothespin on both pieces to cut down on the amount of clothesline space and the number of clothespins needed per load. Jeans don’t work well for this as they are too thick and require longer drying times. Small or thin items like napkins, underwear, socks etc… can be hung two per clothespin. Note that if your item is thick in nature it will not dry as quickly if it is doubled up. Items that don’t easily wrinkle and are thin in nature (ex. underwear, socks) can be hung by one pin closer together to cut down on line room and clothespin usage. If you want to hang out your underwear but don’t want prying eyes to see them, just hang them on the same clothespin behind a t-shirt or pair of socks. 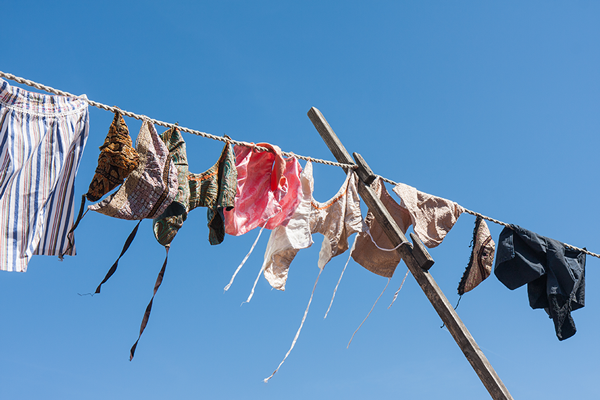 If your clothesline is up all the time, wipe it with a damp rag before you begin. The goal here is to clean all dust or mold off of the clothesline before pinning your clean laundry to it. I remember my husband putting on a shirt one Fall morning and finding it filled with stink bugs, and many times did my sister start her day by jumping up and down because there was a bee in her pants. 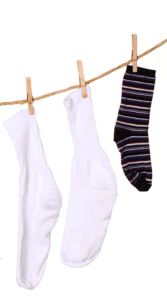 To avoid these problems Turn all clothes inside out before hanging on the clothesline. 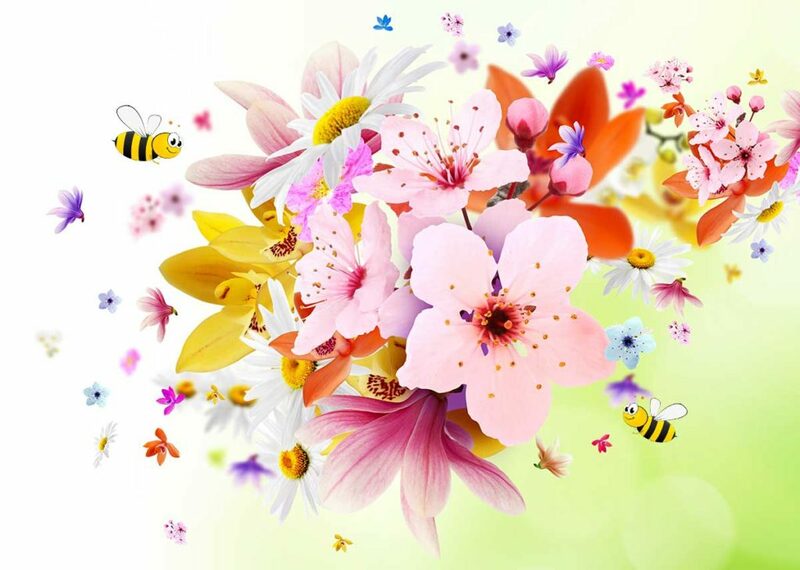 This will help eliminate the chance of bee stings, and June or stink bug invasions. When taking clothes down give them a good shake and then turn clothes right side out. *An allergy alternative to clothesline drying is that Spot can hang your laundry indoors, call 866-682-SPOT to try or click to learn more about our pick-up or drop-off services. 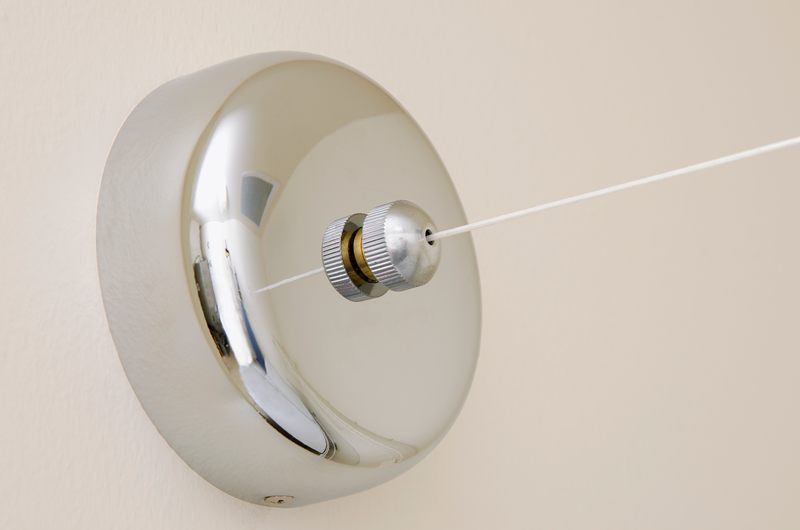 Try a retractable clothesline if you don’t have room or resources for a permanent line. These nifty devices keep your yard looking neat, but are there when you need them. Just be sure to read the reviews before buying one. Fold your laundry as you take it down to save yourself a step. Then you can easily carry your basket of folded laundry right to its final destination. Hang like items together to save yourself time when taking them down and putting them away. Plus, your clothesline will be pleasant to look at while you wait for the items to dry. Don’t hang laundry out if the humidity is high and there is not a breeze. The laundry will take forever to dry. If your clothesline sags make a clothesline prop out of a piece of wood. Place the prop in the middle of the line to support the added weight. Be sure to put the prop away when you are done so that you don’t mow over top of it. 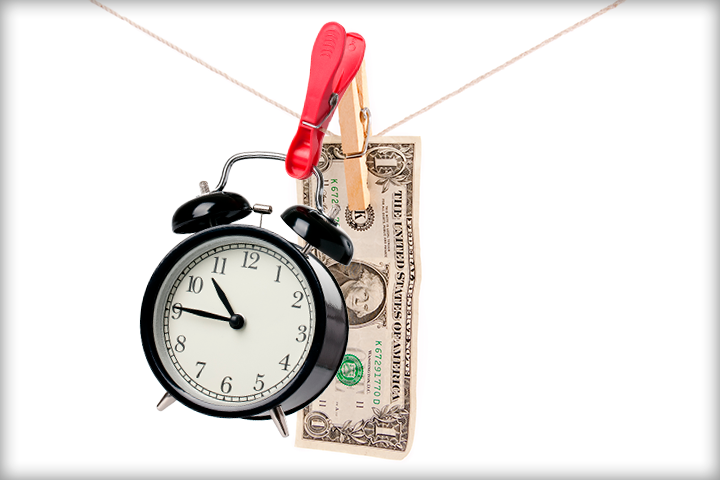 To avoid costly fines be sure to check the zoning rules and regulations in your area before attempting to line dry your laundry. If you’ve found these tips helpful we hope that you’ll share them with others, and come back here to let us know how they worked for you, and check out our Ask Spot page if you have a question about any of these tips.